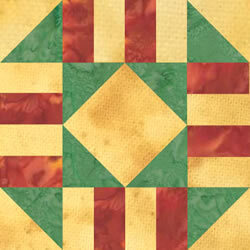 We’ve heard that “It takes a village,” not only to raise a child, but also to have a quilt guild! We need your help to make our guild better by giving of yourself. Whether you are a new quilter, new to our guild, a seasoned committee or board member, or anyone in between, we need you! We all have skills that have developed throughout our lifetimes. We need business and organizational skills, photography skills etc.! We are asking you to share your skills and abilities with your guild and fellow quilting friends and become a member of a committee. Each committee has a chairperson and others with specific jobs, cross-trained to help in other areas of their committee when needed. The Board meets four times a year and works together with the committees to get ideas and make plans. You are encouraged to become a member of one or more committees or groups. BOM Committee is responsible for planning the BOM’s, preparing a sample block and instructions, which will be distributed at the meetings. They also submit a photo of the block and the instructions to the newsletter and website committees for publication. This committee is responsible for collecting quilts, pillowcases and miscellaneous items for charities dedicated to helping children. This committee organizes and plans quilt-ins to provide quilts to the hospital for adult patients who are remaining in the hospital on Christmas Day. Donations of nonperishable food items are made at each meeting to add to the church food pantry. It is our way of thanking the church for the use of the Sanctuary for our meetings. The Fundraising Committee is responsible for researching, planning, and organizing fundraisers. They are in charge of collecting, selling and storing tag sale items. Hospitality sets up the room in coordination with the Program Committee. They welcome members and guests, plan parties, host games and provide door prizes. They help us make connections with each other and new members and guests. They assure that the room is reset, back into its “pre-meeting” setup, at the end of the meeting. Membership welcomes and registers new members and guests, and answers any questions they may have. They collect dues, sell MQG pins, update the guild roster and publish it to the guild members via the website. Thank you notes are sent to visitors that sign in and have provided an email address. They also forward all changes and additions to the roster to the website administrator so the the website is current. The Newsletter Committee is responsible for publishing collected information to the newsletter and mailing the newsletter to members without access to a computer. The Program committee assists the Vice President in planning, scheduling and organizing the monthly programs for the current year as well as January and February of the following year. This committee is responsible for building and updating the MQG website, to include photos of events, current happenings etc. They take photos of the new members to post to the membership directory on the website. They assign and reset passwords for members. Members of the committee send cards out to members who are ill or need encouragement or support due to personal or family issues. They depend on members to let them know of any member who could use some “Sunshine“. Accepts new members onto the website, after verifying with the current roster. Removing members who have left Mudsock, after verifying the roster. Updates the banner photo.